If you’re feeling discouraged because no traditional venues have shown interest in publishing your book, cheer up! You may consider self-publishing to be your last resort, but why not look at it as a great opportunity? Think of the possibilities! It is true that the market is flooded with books—both traditionally published and self-published—and that makes getting the attention of readers a challenge. But many authors are successfully selling their self-published books, especially if they’re writing in a popular genre. Romance novelist Jamie McGuire self-published three books in 2011, one of which was Beautiful Disaster. Simon & Schuster imprint Atria Books acquired Beautiful Disaster, republished it in 2012, and published McGuire’s next book, Walking Disaster, in 2013. After her contract with Atria expired, McGuire returned to self-publishing, and she has sold millions of copies of her many popular books. The self-publishing adventure began for Hugh Howey in 2011 when he published his stand-alone short story Wool through Amazon’s Kindle Direct Publishing system. Wool sold so well that Howey decided to expand on it. The Silo series has since been signed with Simon & Schuster for a $500,000 print-only deal. You could catch someone’s eye. Make no mistake: Traditional publishers are paying attention to self-published authors who are making waves. Best-selling author Bella Andre self-published her “The Sullivans” series as e-books. The series was so successful that Andre eventually signed a seven-figure contract with Harlequin MIRA to publish the books as paperbacks. Amanda Hocking also self-published her novels as e-books and sold more than a million copies. St. Martin’s Press was watching and in 2011 paid a reported two million dollars for the rights to ten of Hocking’s books. Your book could be made into a movie. Andy Weir originally posted The Martian on his website, then self-published it as an e-book at the request of the story’s many fans. The Martian was made into a movie, released in October 2015. Lisa Genova self-published her debut novel, Still Alice, in 2007 after receiving numerous rejections from traditional publishers. Simon & Schuster acquired the book in 2009, and it became a New York Times best seller. The film based on Still Alice was released in 2014; Julianne Moore won an Oscar for her portrayal of the linguistics professor bravely fighting aggressive early-onset Alzheimer’s disease. You could become a beloved author. Beatrix Potter submitted The Tale of Peter Rabbit to several traditional publishers, only to be rejected by every one of them. She self-published the book in 1901. The following year Frederick Warne & Co., among the companies that had rejected the book previously, released the first trade edition, and Potter’s little book has since sold 45 million copies. Of course, there is no guarantee that any book, whether self-published or traditionally published, will launch its author into stardom, and publishing success requires a lot of hard promotional work. But if you believe in yourself and your writing, press on and don’t be afraid to self-publish! Who knows? 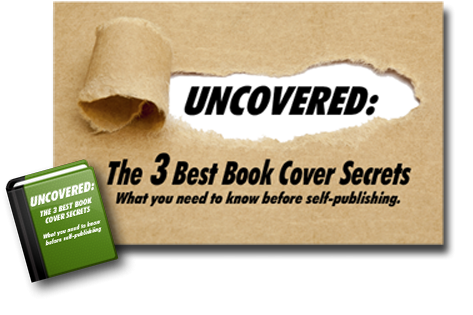 You could be the next self-publishing success story! QUESTION: What other dreams might come true if you self-publish?